SMA attenuators are available from 3-27ghz and for powers of 2 to 100 watts. 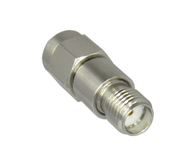 SMA's are rated to 18 or 27ghz, so the frequency limitation of an sma attenuator is due to the internal resistive network. 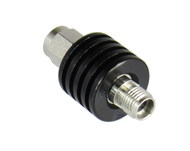 Please click on a subcategory from the drop down menu above to get the exact SMA Attenuator you need.